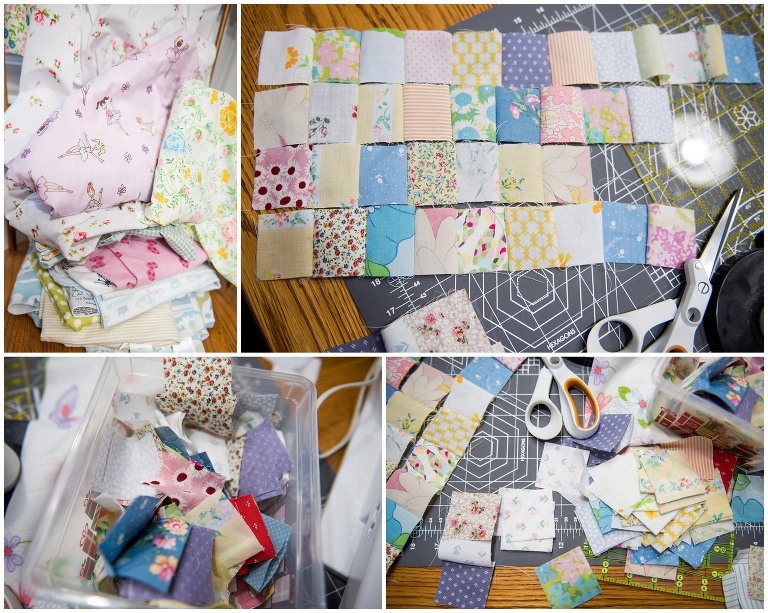 I am loving collecting vintage sheets and bits of fabric! I am challenging myself to not just collect but actually be actively working on making something with them. Good thing we have a very large dining room table that is perfect for quilting. I am most excited about the one made from tiny squares. I have high hopes that I can make it into a king size quilt someday. Luckily I just acquired a new bag of scraps to play with from my grandma at Easter! Quilting is on my weekend to -do list. 🙂 Have a good weekend!